Smith I/OS Clear Lens Replacement FAST Ship! Smith I/OS Clear Lens is a easy way to upgrade your Smith I/OS frame & make sure those low light pow days are delivering perfect clarity and fog free performance! Having these lenses in your quiver is a must have and will only make a great day even better! 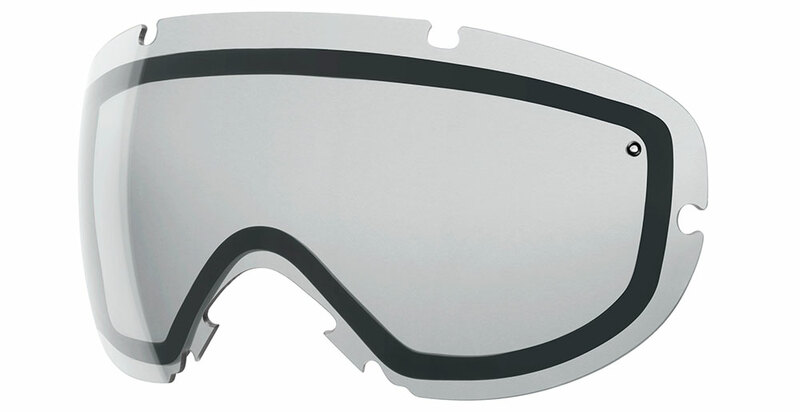 Smith replacement lenses for the I/OS frame are compatible regardless of frame year, you will be good to go! Go ahead and pick up set of Smith I/OS yellow lens or clear from Action they will not disappoint! Smith Replacement Lenses information: Smith Optics makes the best lenses on the market & provide superior protection from harmful UVA-UVB-UVC rays. The Smith replacement lenses for the I/OS utilizes TLT ( Tapered Lens Technology ) lens technology which provides perfect vision in all conditions by straightening out the incoming light rays by tapering them out from the center out to your peripheral view providing 100% clarity & accuracy. Smith Replacement lenses have set the standard in lens quality with their Carbonic-X Lens which meets class 1 optical standards as well as ANSI Z80.3 safety & quality standards, there simply is no better lenses available on the market. Frame Compatibility: Smith I/OS Clear Lenses will fit with your Smith I/OS frame regardless of year. Smith I/OS Clear Lens Information: VLT 84%, if your day is delivering low light, snowy or night conditions the clear lens is your weapon of choice!